The U.S. Treasury secretary used financial-meltdown language to address pedestrian issues of falling stocks, a government shutdown and the president’s Fed-bashing. At worst the alarmism could create a crisis; at best it undermines his credibility when a real threat appears. 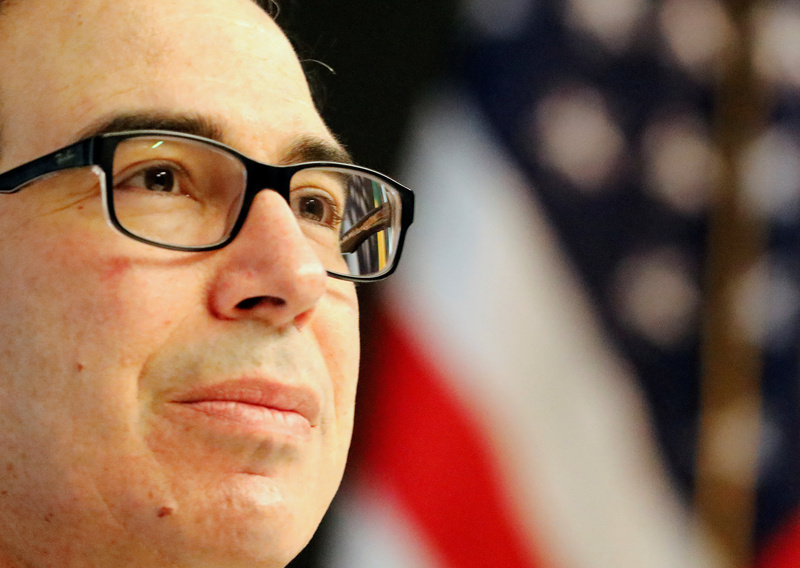 U.S. Treasury Secretary Steven Mnuchin looks on before a meeting with Brazil's Finance Minister Eduardo Guardia (Not Pictured) in Sao Paulo, Brazil, Brazil July 20, 2018. U.S. Treasury Secretary Steven Mnuchin called the chief executives of America’s six largest banks on Dec. 23, he and the Treasury said in tweets on the same day. “The CEOs confirmed that they have ample liquidity available” to lend to people and businesses,” the Treasury said in a statement attached to the tweets. They also told Mnuchin they had not experienced “any clearing or margin issues and that the markets continue to function properly”. The six banks are Bank of America, Citigroup, Goldman Sachs, JPMorgan, Morgan Stanley and Wells Fargo. The statement also said Mnuchin intends on Dec. 24 to host a telephone meeting with the President’s Working Group on Financial Markets, which includes representatives from the Federal Reserve, Securities and Exchange Commission and Commodity Futures Trading Commission. He has also invited the Federal Deposit Insurance Corporation and the Office of the Comptroller of the Currency. Mnuchin's calls to the bankers came amid a partial government shutdown that began on Dec. 22 following an impasse in Congress over President Donald Trump's demand for more funds for a wall on the border with Mexico. Also on Dec. 22, Mnuchin said on Twitter he had spoken to Trump about reports he was considering ousting Fed Chair Jerome Powell. He quoted Trump as saying, “I totally disagree with Fed policy… but I never suggested firing Chairman Jay Powell, nor do I believe I have the right to do so”.